Patients enter a hospital unwell, sometimes suffering and often confused. The primary role of the doctor is to use science to heal. Yet beyond the medicine and disease there is more. Patients aren’t just charts or vitals. They are parents, partners, siblings, and friends. A great doctor understands this. 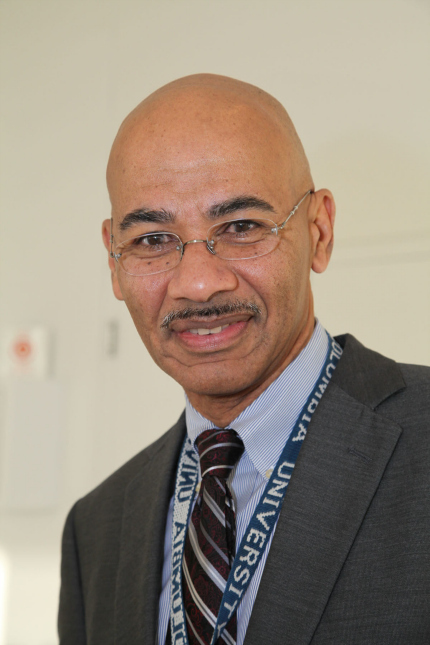 This year, the Department of Surgery is honored to have Dr. Spencer Amory, Division Chief of General Surgery, chosen as a 2014 recipient of the Jerry Gliklich Award for Exemplary Clinical Care. This award is decided through a nomination and election process voted on by the group’s leadership. The NewYork-Presbyterian/Columbia University Medical Center Society of Practitioners has granted the Jerry Gliklich Award (previously known as the Society of Practitioners Award) since 1982. To qualify, a physician must demonstrate exceptional care to patients, engender respect and collegiality with peers, and have outstanding outcomes. This is a prize for a modern-day Norman Rockwell physician. Beyond his commitments to the hospital Dr. Amory participates on humanitarian missions 5 weeks every year in countries such as the Dominican Republic, Bolivia, Guyana, the Philippines, and St. Kitts and Nevis. Dr. Amory received his award on April 28th in a ceremony held in Bard Hall. To read about another Department of Surgery recipient who received this award, please see Dr. Craig Smith Named ‘Practitioner of the Year’ at the Peak of his Career.